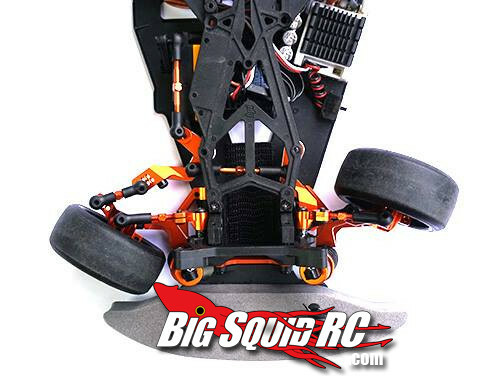 sprint2 rwd conversion kit by yeah racing « Big Squid RC – RC Car and Truck News, Reviews, Videos, and More! 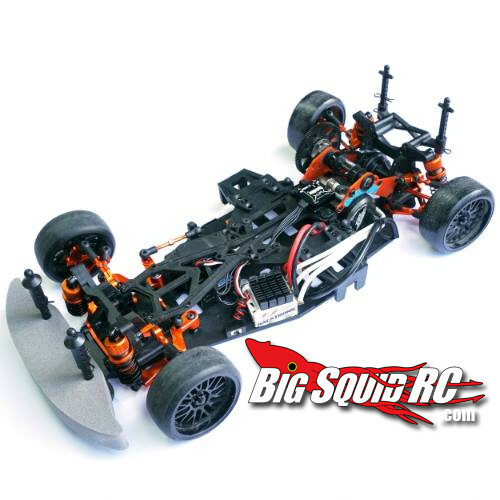 Sprint2 fans take notice, Yeah Racing is set to release a RWD conversion kit for the HPI Sprint2 in September. We’ve only a few teaser pics available, but why should that stop the speculation? What we can see from the extensive parts list below is a move from the old c-hub standard to the hot c-hubless design that most RWD cars are running out of the box. C hubs are good for strength and accuracy, but suffer from decreased steering angle potential (because the c-hub gets in the way) and limited caster adjustment (read as; 1 set of hubs gets 1 caster setting). Pairing the c-hubless design with a narrow Y-arm allows for even more potential steering angle (as the wheel can’t rub on the shocks or arm). This appears to be a solid option for Sprint2 owners – but we’ll hold final judgement until we’ve seen the full range of settings on final units. For the budget builders, start with the front end and work backwards. RWD is dependent on extreme steering angle for higher speeds and deeper angles. We’ll talk more about good steering geometry later – but basically you want low toe out at neutral, parallel steering through the sweep with slight ackerman out at full lock. Yeah Racing expects to start shipping the kits in September. Raikou Drift Shop, based in sunny Florida, is running a pre-order and says white, black and red anodized will be available – hit them up on their facebook page or shoot an email to get in on first wave.